Home > Soul > …or not. We’ve all used this verse at one time or another. It might have been when we needed to prop somebody up when they were feeling weak. Or, for a personal pep talk. I think some folks use it like the often said, “You can do anything you put your mind to.” Or telling kids, “You can be anything you want to be.” I tend to squirm every time I hear that one. I’m not so sure that’s what Paul was teaching here. When you look at the context, he was talking about being OK whether hungry or well fed, living in plenty or want. 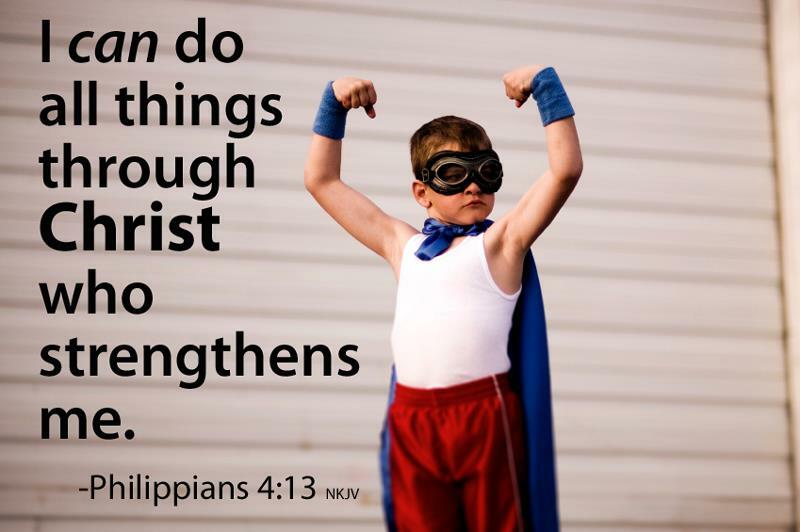 He was saying that he could live in any of these circumstances relying on the strength of the Lord…or not. If we’re really honest, we would have to admit that we have faced various situations or seasons of our lives, both the ups and the downs, “through Him who gives me strength,” or not. There have been times I’ve hung on to Him for dear life, other times sensed His peace when it didn’t make sense, and sad to say, too many times when I just tried to handle things on my own without much thought of relying on His strength. We erroneously think we only need His strength when we are weak. It is just more obvious in those times. When we are breezing along or feeling strong, that’s when we need to experience His strength all the more. I pray that I will do ALL things through Him, not just the things I don’t think I can handle by myself.